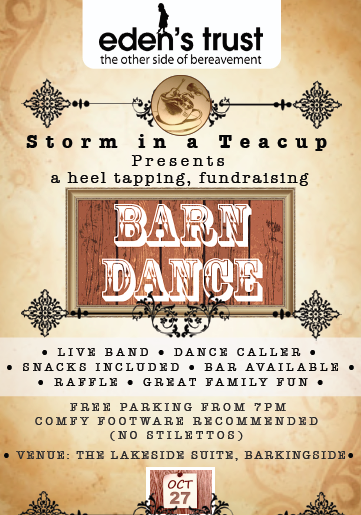 The Eden’s Trust Barn dance, presented by Storm in a Tea Cup, proved to be a great evening with a wonderful atmosphere. The event brought us live music, a raffle, buffet and our very own dance caller. Toes were tapping whilst dance partners skipped and laughed as we came together in appreciation of the work that Eden’s Trust does and the community it has built. Thank you to Petty Son and Prestwich who sponsored the event and to everyone who joined the fun and supported the charity. We raised a total of £1646.63!